Data center power consumption continues to grow at an alarming pace. It is projected to reach 100 billion kWh at an annual cost of $7.4 billion within two years, with a worldwide carbon emissions impact similar to that of the entire Czech Republic. In light of this trend, computer systems researchers, application designers, power and cooling engineers, and governmental bodies have all launched research efforts to improve data center energy efficiency. These myriad efforts span numerous aspects of data center design (server architecture, scheduling, power delivery systems, cooling infrastructure, etc.). However, with few exceptions, existing efforts focus narrowly on energy-efficiency of single subsystems, without considering global interactions or implications across data center subsystems. To encourage the use of more efficient servers, storage devices, network equipment and power supplies, an organization must illustrate the clear connection between equipment energy usage and operating cost to the people who make the equipment purchasing decisions. Data center design is a relatively new field that houses a dynamic and evolving technology. 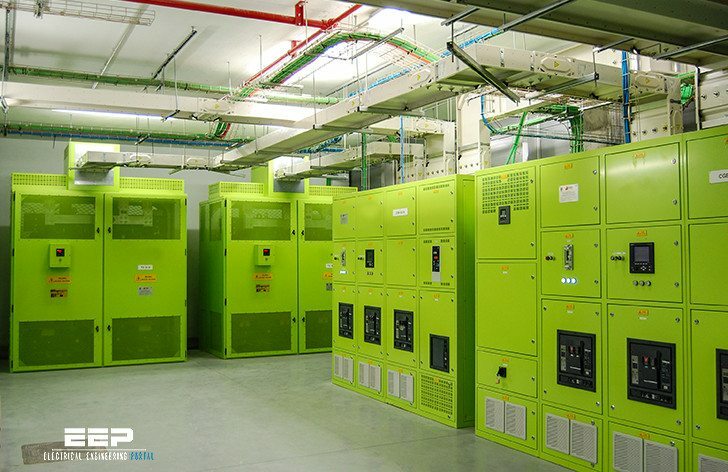 The most efficient and effective data center designs use relatively new design fundamentals to create the required high energy density, high reliability environment. The following guides in this section capture many of the new ‘standard’ approaches used as a starting point by successful and efficient data centers. 1 Guidelines To Data Center Commissioning (Procedures and Processes) . 2 The Role of Infrared Testing at Data Centers . 3 Electrical Design Of Energy Efficient Datacenters . 4 Data Center Best Practices Guide (Energy Efficiency Solutions) . 5 Installation and Maintenance of Data Networking Equipment (Guidelines and Best Practices) . 6 Guidelines for using isolation transformers in data center UPS systems . 7 Best practices guide for cabling the data center . 8 The Basics Of Electrical Distribution Equipment In Data Centers (For IT Professionals) .